Mark it finished with a handy pre-inked stamp! 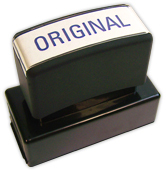 This high-quality product will let you stamp documents as many as 25-thousand times before the ink runs dry. That's a lot of completed work! If the ink does run dry, these stamps are also refillable. 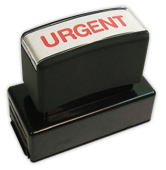 Your new Completed Stamp from CheckAdvantage is a real time-saver. 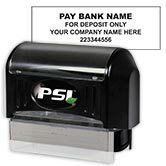 It makes those repetitive office tasks a breeze and leaves a clean impression every time! 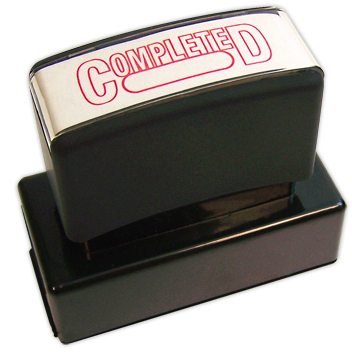 Get a new Completed Stamp right now and make your business more efficient!